Mark Bustos is a celebrity hairstylist, working full-time at a salon where prices start at $150. 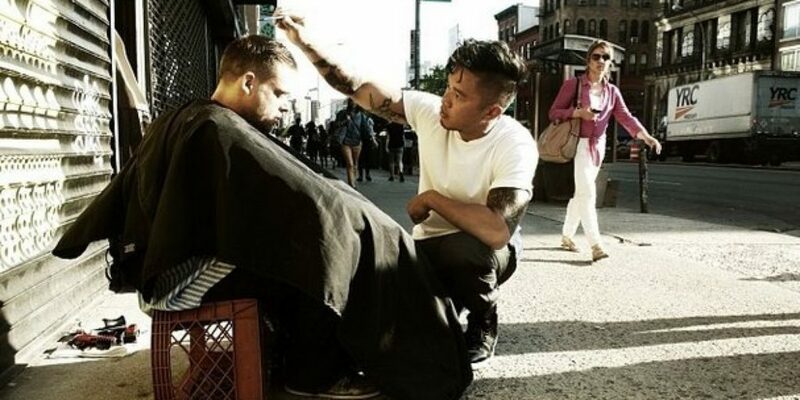 Every Sunday on his only day off, Mark goes out onto the streets of New York City and gives free haircuts to the homeless. 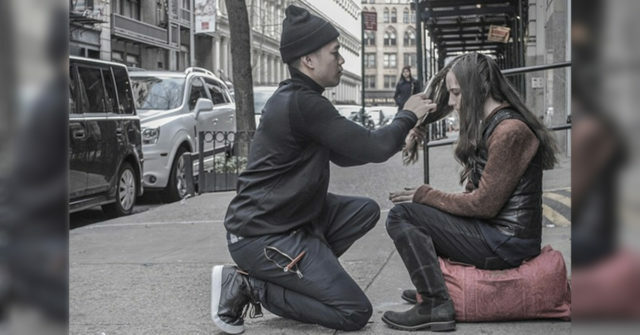 He approaches each person by saying, “I want to do something nice for you today.” and is able to give around 6 free haircuts every Sunday. 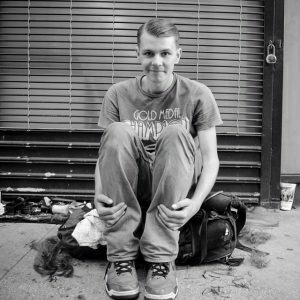 Mark started his charity work in May of 2012. “The feeling was so rewarding,” Mark told the Huffington post. His styling sessions are also often much more than just a haircut, as he is able to connect, listen to, and share love with the people whom he encounters. A NYC based homeless charity said that Mark’s work enables people to envision a better life for themselves. 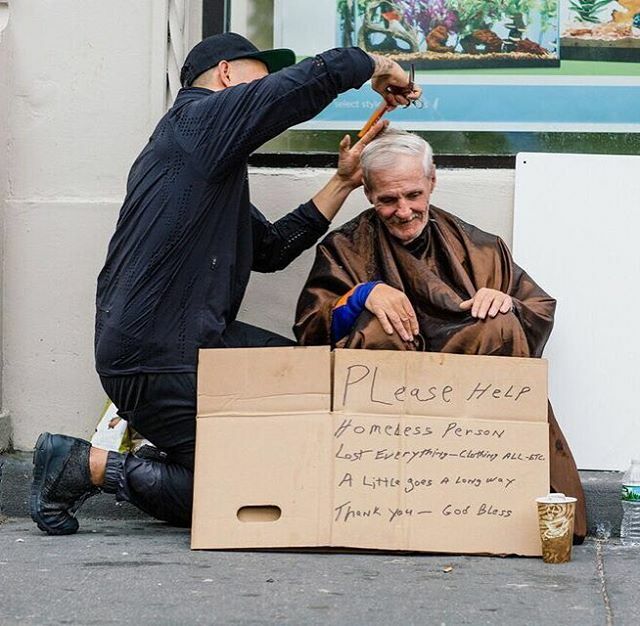 Compassion is beautiful, and Mark’s giving heart shows us how offering a simple service to those in need in our community can truly make the world a more beautiful place.